First, Dr Faulkner seems to believe the planets and moons accreted from matter created on the fourth day. I don’t think this can work in a young-age time frame, except possibly for small objects such as asteroids. Accreted objects are not differentiated but are just random jumbles of material, yet it seems that all but the small objects, such as asteroids, are layered objects. For jumbled objects to differentiate, they have to be melted. Then they have to cool and Earth would have to cool in this way before life could exist on it. In the evolutionary view of the origin of the solar system, the planets would have been melted after accretion by radioactive decay and by impacts.4 From a biblical perspective, there is not sufficient time for the layered structures to form or for the heat to dissipate naturally in a short time scale of several thousand years. One would apparently have to propose miraculous divine intervention in the formation of the planets. I would consider this a legitimate possibility, but I am not sure this is what Danny intends. One really large impact could wipe out human life very easily, at the time of the Fall, for instance. An impact like Aitken on Earth would produce a crater four or five times the size of the largest craters known on Earth to date. In Danny’s scenario, one would probably simply have to say that God did not allow a really large impact on Earth of the magnitude of Aitken. The effects of a bombardment around the time of Creation or the Fall must be taken seriously. The effects of such an event would be very severe and much of Earth’s life would die, though not necessarily all of it. I don’t think this fits in with biblical history well, except at the time of the Flood. Scripture really does not give any indication of any catastrophic events at the time of the Fall, though there apparently was a subtle change of some kind in living things and possibly in thermodynamics. Do we really have evidence of there being two events? How could we have evidence of this unless we had a reliable absolute chronology of the craters on the moon? I don’t think we have that from radiometric dates of moon rocks. Danny’s paper seems to give no convincing argument of there being two separate events. The differing crater densities on different areas of the lunar surface mentioned in his paper do not necessarily imply two events. They could imply one longer event in which the number of impacts drastically dropped off over time. Or, they could indicate two populations of objects. Danny treats the issue as if the moon is very different from all other bodies in the solar system regarding cratering, and that the cratering event was a very focused kind of thing that only affected Earth and the moon. I don’t see this as realistic, judging from what we know about cratering in the solar system. There are examples that I could cite from moons of the outer planets that Danny would probably interpret as two cratering events for those objects as well.6,7 But his comet approach cannot explain cratering patterns elsewhere in the solar system being like the moon. The event at the time of the Flood as Danny suggests would be of very short duration, less than a month certainly. But I see no way of reconciling the astroblemes on Earth with such a short-lived event, since impacts are found on Earth in strata of all types, all through the Geologic Column, unless all these strata are Flood deposits. In Danny’s scenario, the early bombardment event (at the Fall, for instance) would leave very little evidence on the earth to the present. Erosion and sedimentation would have been very limited in the pre-Flood earth, presumably, and the Flood would tend to destroy these early craters. Thus, almost all or perhaps all of the craters we find today would have to be from the time of the Flood. Craters throughout Earth’s geologic column point to an event that was spread out over a period of months to years. Some impacts occurred during the Flood (such as the Sudbury structure, Canada2), while others occurred after the Flood,8 and there is clear geological evidence of this from specific crater sites. 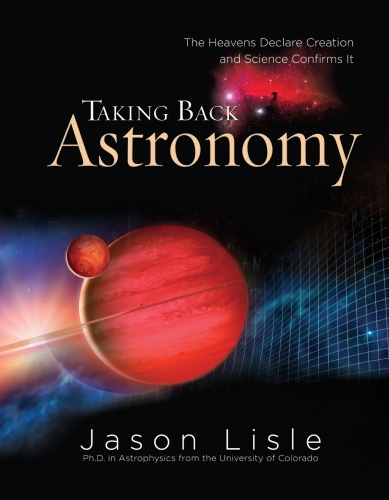 Dr Faulkner and I are addressing the issue of solar system cratering in two different ways. I have proposed that there was one event that affected much of the solar system in a relatively short time. That event, whatever it was, produced craters with a size distribution different from craters produced after the catastrophic bombardment event. It appears to me that many moons in the outer solar system, as well as Mars, were heavily bombarded with impacts. This was followed by a period of significant volcanism and tectonics that covered many prior impacts. Then after the volcanism, some impacts still occurred which were random, much less frequent, and unrelated to the catastrophic bombardment event. Though a comet impact event affecting the earth and the moon such as Dr Faulkner suggests is very possible, there is much additional data on cratering in the solar system to explain as well. There are some other difficulties in placing a significant impact bombardment at the time of the Creation or the Fall, or between the Fall and the Flood. The effects of the impacts would limit our options as creationists as to what was possible during that period. Other types of events have been proposed that could cause cratering as well. The most promising in my opinion are a cloud of solid objects from outside the solar system passing through our system,9 other types of comet or multiple comet events, and possibly the breakup of an object beyond Neptune.10 We have only begun to examine these issues as creationists. Important new data has also been coming from the Galileo and Mars Global Surveyor space missions. As we continue to study these questions, I hope Dr Faulkner and I can continue to converge to some similar conclusions. 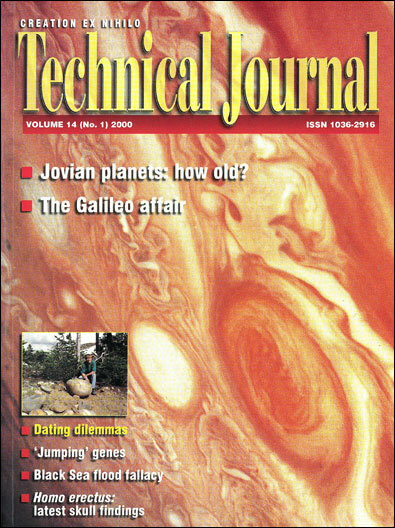 I am pleased that a letter from my friend, Wayne Spencer, questioning my proposal for a creation based cratering theory appears in this issue. I readily acknowledge Wayne’s work on cratering in formulating some of my ideas. For a very long time I had resisted subscribing to the notion that impacts were the result of the Fall or the Flood, opting instead for most impacts being primordial. The main reason for my reluctance on this matter was the sense that perhaps too many physical characteristics of the world were being laid at the feet of judgment. Wayne’s discussion of the many astroblemes in the fossil record helped me realize that there must have been many impacts during the Flood. Before directly responding to Wayne’s letter, I want to emphasize that my proposal for cratering before and at the time of Flood is just that—a proposal. I do not have so much time and effort invested in my proposal yet to cause me to dig in my heels when challenges come, so I welcome opportunities like this to have my mind changed. Apparently Wayne has misunderstood some of my proposal, and so I can only assume that others have misunderstood as well. I welcome this opportunity to offer a few clarifications. First, I suggest that the planets and satellites were assembled on the fourth day of Creation Week. The matter from which they were accreted could have been created on Day Four as well, but that material may have been primordial, that is, created in the beginning (Day One). Wayne is quite correct to point out that this presents a problem for differentiation and cooling to have rapidly occurred. However, rapid cooling is a problem that young-earth creationists frequently encounter in situations such as very thick lava flows. If thick lava flows were flood related, then it is difficult to cool them to their current temperatures in only a few thousand years. Another problem for rapid cooling in a recent creation is the moon. If the moon or at least portions of the moon were ever molten, which seems to have been the case judging from the evidence of past volcanic activity on the moon, then how did the moon cool to its present interior temperature in only a few thousand years? Unless the other bodies in the solar system were simply instantaneously created as is, the same cooling problem exists for many of them. The creation account necessitates that the formation and early history of the earth be very different from that of the other planets. If nothing else, this is suggested by the fact that the earth was created first and the other planets three days later. Another problem that Wayne could have mentioned is the time required for the planets and satellites to coalesce. A gradual or uniformitarian process would demand quite a long time. If these bodies randomly accreted from a cloud of material, there should still be a large amount of debris left after only a few thousand years. Therefore I propose that the planets and satellites rapidly accreted, using most of the available material. I doubt that anyone can devise a realistic scenario whereby this could have happened by a natural process. Indeed, if one could, would it be a creation theory? If the planets and satellites formed by accretion, then many of the craters that we find on their surfaces would be the results of the impacts of the accreting material. This much is in agreement with evolutionary theories, though I would drastically reduce the time scale. Another difference from evolutionary theories is that the brief process would have been directed, rather than a random one. I agree with Wayne that there are no biblical reasons to invoke major impacts at the Fall. I would go further and conclude that there are no biblical reasons to invoke impacts at the Flood. On the other hand, Wayne has clearly demonstrated that even if only a few of the alleged astroblemes in the fossil record are indeed impact craters, then Flood Geology demands that there must have been many impacts associated with the Flood. One fact that has struck me is that our nearest neighbour, the moon, shows evidence of two distinct cratering episodes. Most of the lunar highland craters are classified as early heavy bombardment, while the impact basins of the maria are dated as late heavy bombardment. After the late heavy bombardment, the lunar cratering rate rapidly decreased. Most people, including Wayne, would view the early and late heavy bombardment as part of the same episode. I have gradually come to view them as two distinct episodes. At this time I am not prepared to give physical evidence for this—it is more along the lines of the basis of my proposal. As I develop my proposal, perhaps the evidence will come forth. I have always puzzled over why some of the largest impacts on the moon were also the last. Or more correctly, why some of the last impacts were some of the largest. Wayne does point out that the largest impact on the moon is the Aitken basin, but it is very different from other lunar impact basins. The Aitken basin has been so heavily modified by other craters, that it is difficult to identify. Indeed, the Aitken basin is a very subtle feature that has only recently been discovered. In both my theory and the evolutionary theory, this heavy modification would date the Aitken basin to an early epoch. The question is, why did the Aitken basin fail to produce volcanic overflow? This is particularly a problem for an old moon, because the Aitken basin impact would have happened when the solid surface of the moon would have been much thinner than when the other impacts that resulted in volcanic overflow occurred. I do not know if I have an answer for that yet, except perhaps that the circumstances of the Aitken and other basins were different. For instance, the speed of primordial impacts may have been much smaller than the later (Flood) impacts. There are other faint impact basins that are alleged on the moon, though none of them resulted in volcanic overflow. The same can be said for features on a few other bodies, such as the Caloris Basin on Mercury. All of these features, if real, appear to be very old and have no volcanic overflow. Only the relatively younger lunar maria have the overflow. Furthermore, the maria are preferentially on the side of the moon facing the earth. All of this leads me to conclude that what processes caused the lunar maria must have been fundamentally different from the other impacts in the solar system. In summary, I suggest that the early heavy bombardment should be identified with the final stages of the moon’s assembly on Day Four. There could have been large impacts during the early heavy bombardment, but for some reason they failed to produce volcanic overflow. I would also date most of the impacts in the solar system on Day Four as well. The late heavy bombardment occurred at the time of the Flood, and did not affect the entire solar system. The lunar maria were caused by impacts sustained during the late heavy bombardment, and few impacts have happened since. Evolutionary models hypothesize that the impacting bodies had a random distribution in motion. It would be very difficult to clear the solar system of meteoroid debris in only a few thousand years if either one of these events were due to random orbits. Therefore I propose that the Day Four events were directed to the purpose of making the planets and satellites of the solar system. Since the earth already existed by Day Four, the direction of the process would have prevented the earth from being bombarded at that time. To account for the unique pattern of the lunar impact basins, I conclude that the moon encountered a brief but intense swarm of meteoroids. It is apparent that the earth suffered large impacts at the time of the Flood, so I suggest that this is when the impacts that led to the lunar maria happened as well. The earth was the intended target for God’s wrath, but the moon was struck as a result of, to borrow a military term, collateral damage. It is tempting to place most of the solar system impacts at the time of the Flood, but I have several objections to that. First, it fails to account for the unique features of the moon. Second, the crater density of heavily cratered terrains, such as the lunar highlands, suggests an extremely high impact rate. That high rate appears too catastrophic to me to have merely caused the Flood. Such a titanic calamity should have taken precedent as the instrument of God’s judgment, rather than the water that prevailed upon the earth. Third, a general mass of debris would be difficult to clear from the solar system in a few thousand years. Wayne has suggested that an interstellar swarm of debris swept through the solar system at that time. I concede that this would answer this final objection. However, that suggestion is not as far removed from my suggested source, a comet swarm. The only differences are that my comet stream would have directly affected only a few bodies in the solar system and leaves the possibility of a return visit by the stream. This sort of speculation is only in its infancy. It is a real pleasure to have such fine individuals as Wayne Spencer involved in this. It is my desire that my modest proposal act as a catalyst to stir up the thinking and discussion of others. Faulkner, D., A biblically-based cratering theory, TJ 13(1):100–104, 1999. Return to text. Spencer, W.R., Catastrophic impact bombardment surrounding the Genesis Flood; in Walsh, R.E. (Ed. ), Proceedings of the Fourth International Conference on Creationism, Technical Symposium Sessions, Creation Science Fellowship, Pittsburgh, PA, pp. 553–566, 1998. Return to text. Spencer, W.R., Geophysical effects of impacts during the Genesis Flood; in Walsh, R E. (Ed. ), Proceedings of the Fourth International Conference on Creationism, Technical Symposium Sessions, Creation Science Fellowship, Pittsburgh, PA, pp. 567–579, 1998. Return to text. 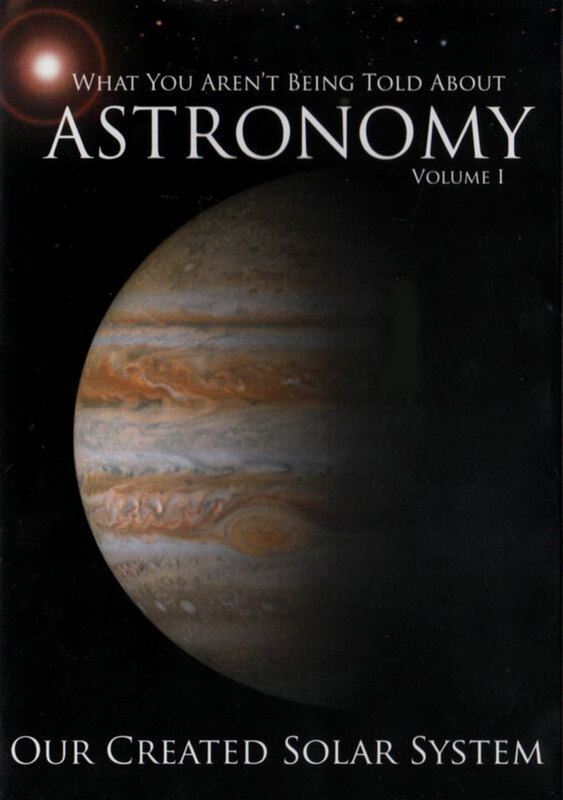 Baugher, J.F., The Space-Age Solar System, John Wiley and Sons, Inc., pp. 71, 384, 1988. Return to text. Spudis, P., Reisse, R.A. and Gillis, J.J., Ancient multiring basins on the moon revealed by Clementine Laser Altimetry, Science 266:1848–1851, 1994. Return to text. Plescia, J.B. and Boyce, J.M., Crater densities and geological histories of Rhea, Dione, Mimas and Tethys, Nature 295:285–290 (see especially p. 288 on two populations of impacting objects), 1982. Return to text. Woronow, A., Strom, R.G. and Gurnis, M., Interpreting the cratering record: Mercury to Ganymede and Callisto, Morrison, D. (Ed. ), pp. 237–275 (see especially page 251 on Mars), 1982. Return to text. Froede, C.R. Jr. and Williams, E.L., The Wetumpka impact crater, Elmore County, Alabama: an interpretation within the young-earth Flood model, Creation Res. Soc. Quart. 36(1):32–37, 1999. Return to text. Spencer, W.R., The origin and history of the solar system; in Walsh, R.E. (Ed. ), Proceedings of the Third International Conference on Creationism, Technical Symposium Sessions, Creation Science Fellowship, Pittsburgh, PA, pp. 513–523 (see p. 521), 1994. Return to text. Spencer, W.R., Revelations in the solar system, Creation 19(3):26–29 (see p. 28), 1997. Return to text.